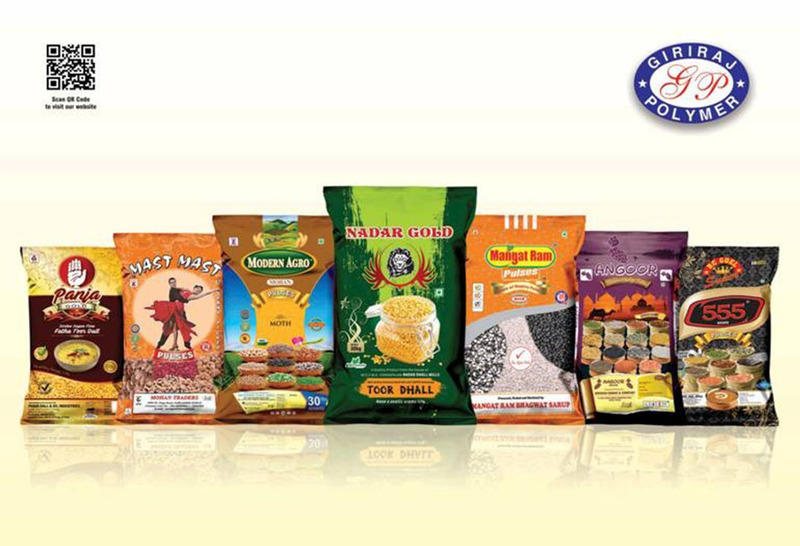 Giriraj polymer has vast industry experience in the field of Food packaging bag manufacturer and Pulses bag manufacturer. We have a huge manufacturing unit with updated technology and modern machinery and are able to cater to bulk orders of Pulse's packaging bags. Our team consists of industry experts and efficient members who design unique style of Printed food packaging bags to launch a new brand or to revamp an old brand. The raw material used is of high quality and from reputed vendors to maintain the strength and durability of the bags. We manufacture bags which are resistant to external climatic conditions and are easy for long duration storage and convenient for transportation. We are well known for manufacturing cost-efficient and attractive Printed food packaging bags which can easily draw the attention of consumers. Our agenda is to make your brand famous and to reach out to a large number of buyers by providing all information of the edible product with a great color combination. Our bags are manufactured for long duration storage of food and pulses. We are the one stop solution for providing all sizes of Food packaging bags in the most affordable price. We have served big brands of Food companies in the market and they have trust in us as Food packaging bag manufacture to cater the requirement of all types of bags.